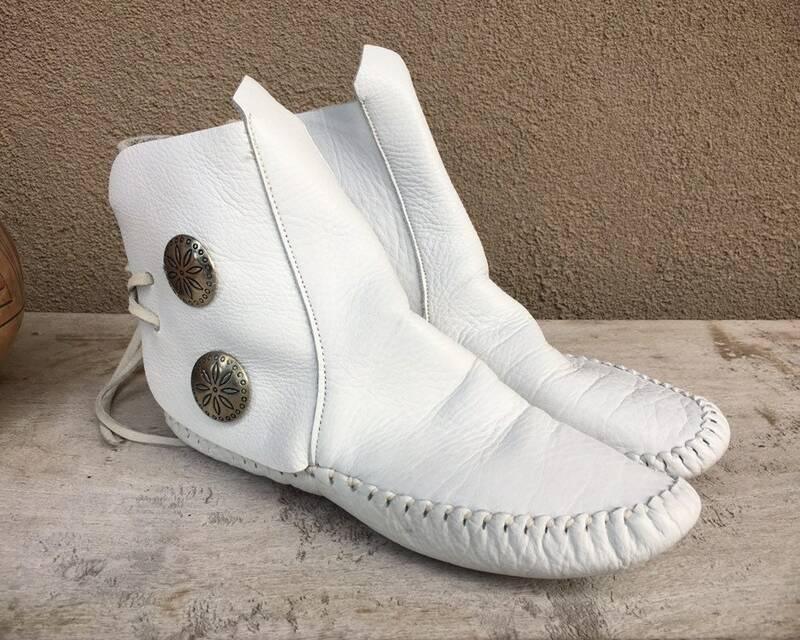 The size and brand markings on these white leather ankle moccasins has worn off but we know from the previous owner that they are a size 5. 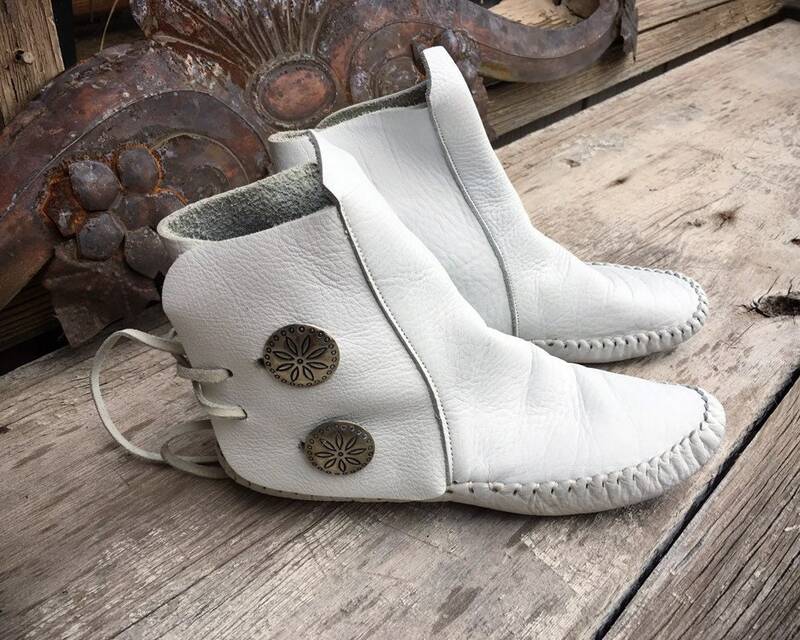 These were worn quite a bit, evidenced by their sole, yet the leather is thick and solid, and these have a lot more life in them. 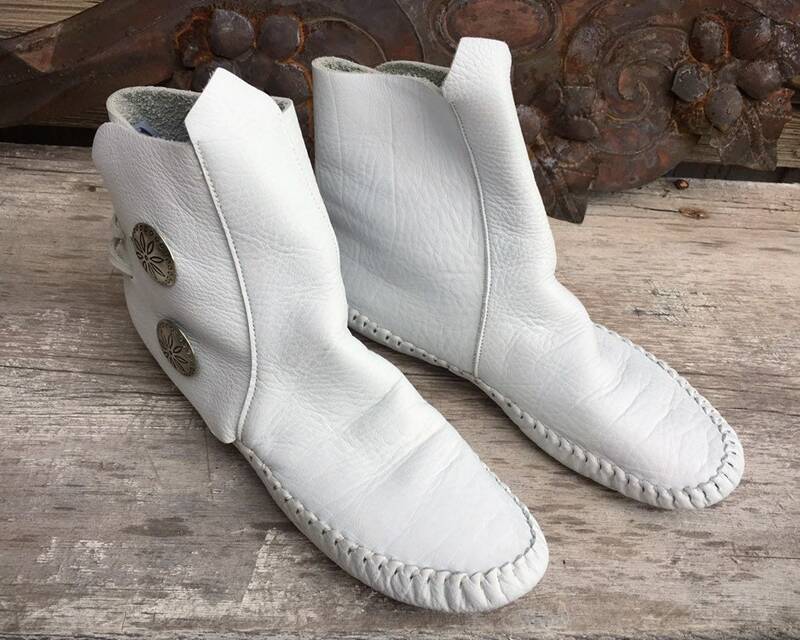 They are all handmade, and they have a silver-tone nickel concho on the side wrapped with leather to close. 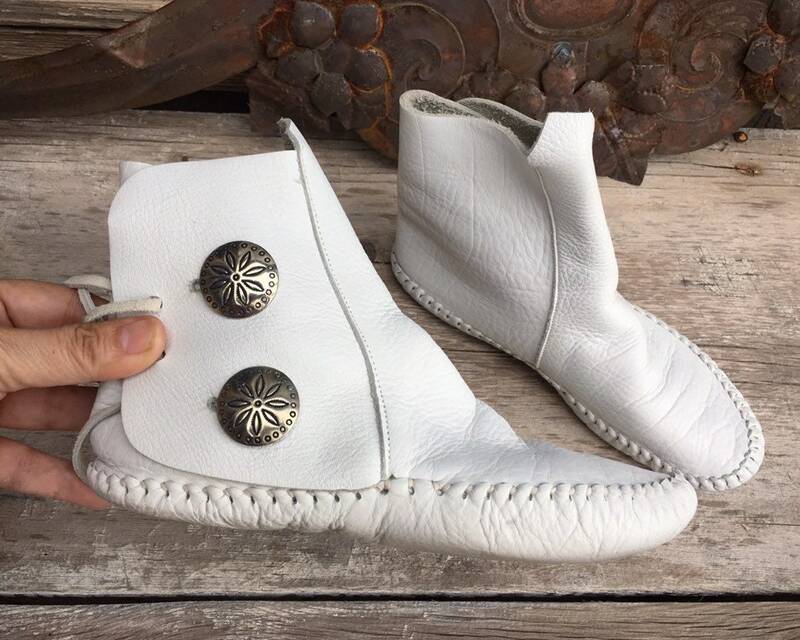 Heavy whip stitching at the toe and around foot bed. 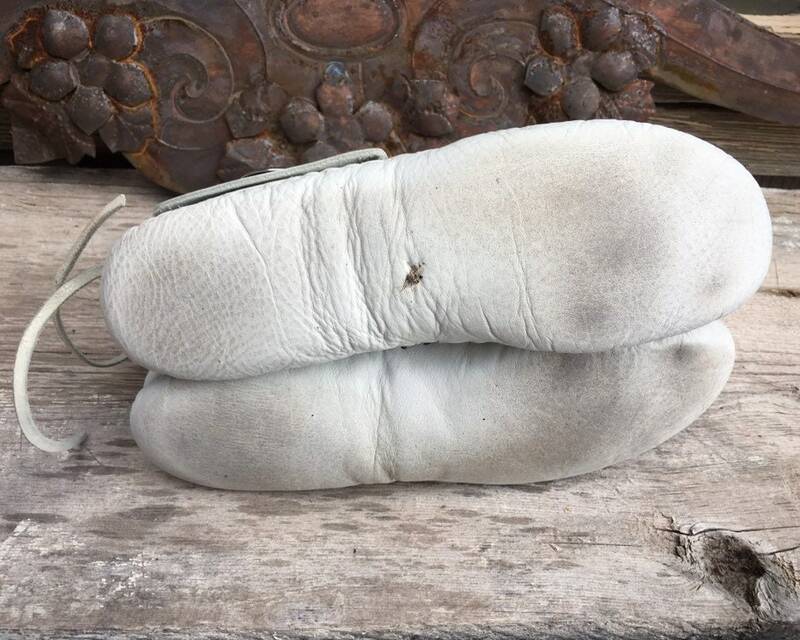 Original foam insole.